Minneapolis, MN – April 12, 2018 – A picture isn’t necessarily worth a thousand words, especially if the message is lost in hype and special effects. Dev Garg, founder ofMillionWords, specializes in message-centric videos that can result in an up to 80 percent increase in conversion rates. Effective marketing must make an emotional connection with viewers to make it memorable and build brand loyalty. 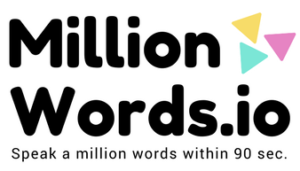 MillionWords is a video production and marketing company that creates and produces highly-targeted content that elicits that critical emotional response. Clients have access to the talents of some of the top artists, script writers and animators in the business for their projects and clients receive free tips and tricks for utilizing their video. Content marketing is becoming more personal, customized and brief. The popularity of shorter video content is expected to increase substantially by 2020, making engagement a primary concern for businesses rather than simply expanding their reach. Studies have shown that uniquely created content can increase the time that visitors stay on a landing page by up to 88 percent, resulting in elevated conversion rates. Extensive research has demonstrated that 60 percent of consumers respond better to companies that present imaginative, creative, and straightforward content. MillionWords specializes in white-board animation, character and motion graphics, product demo videos, and 2D and 3D animated videos. Monthly video marketing packages are available with an emphasis on brand building and creating customer relationships. The MillionWords professionals are expert at crafting unique stories that are brief, effectively convey a company’s message, and quickly grabs the attention of viewers. MillionWords’ byte-sized, multilingual videos resonate with consumers on a deeper emotional level than traditional videos. The studio’s services improve communication, increase sales and promote long-term customer loyalty in any industry. Be the first to comment on "MillionWords Takes Marketing to new Heights with Byte-Sized Videos"